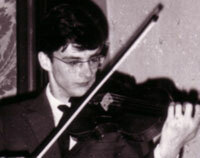 It was the human voice -- his own mother's, actually -- that first led Oleh Krysa to pick up the violin at the age of 6. In Krysa's native Ukraine, the average person is by that tender age already steeped in an extensive repertoire of Ukrainian folk songs. "I became a musician," Krysa explains, "because of Ukrainian folk music." 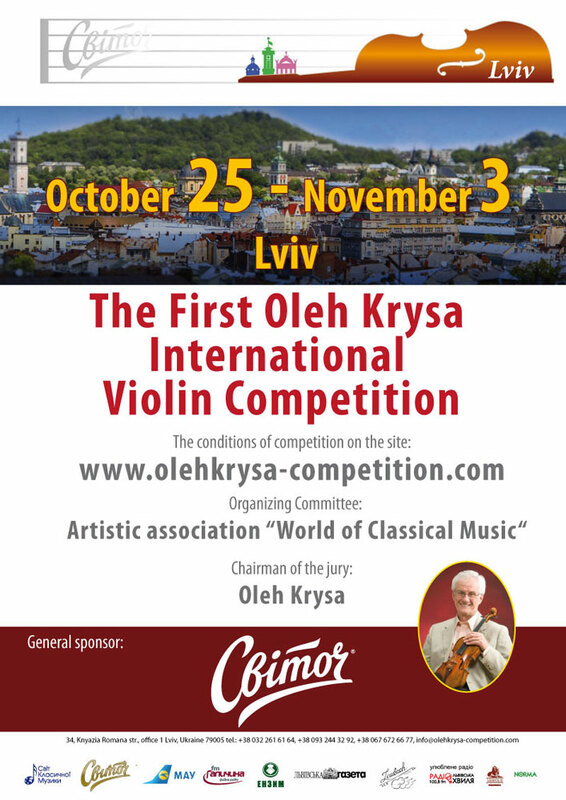 June 2013 - The Artistic association 'World of Classical Music' (Lviv, Ukraine) invites young violin virtuosi from every continent to participate in the Oleh Krysa Competition. They will be given an opportunity to try their strength, demonstrate their talent and prove their ability with the instrument to a friendly and experienced listener, and an objective jury. 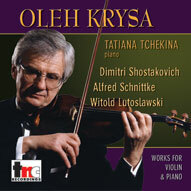 Many of Oleh's recordings are sold online through TNC Recordings. Browse and listen to samples. Oleh is available for a variety of speaking engagements or musical performance. "In 30 years of teaching I have not encountered a musical personality such as his. Oleh has brilliant natural gifts, unusual musicality, vivid artistry and great charm."